FIrst published in il manifesto. Translated by David Broder. 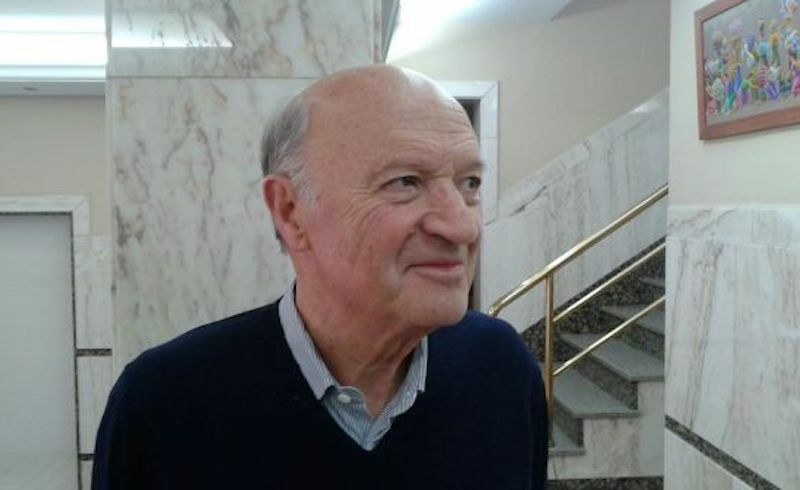 Domenico Losurdo died yesterday, after an incurable illness. A Marxist philosopher, a communist militant, a lively polemicist and a prolific author, Losurdo enjoyed international renown. Born in Sannicandro di Bari in 1941, he studied under Pasquale Salvucci in Urbino, the university where he would long teach History of Philosophy. His first studies focused on Kant, Hegel, Marx, Lukács, and Gramsci. Among Losurdo’s works in this Hegelian-Marxist groove we could mention such titles as Hegel, Marx e la tradizione liberale (1988), Hegel e la libertà dei moderni (1992), and his 1997 books Hegel e la Germania, Antonio Gramsci dal liberalismo al ’comunismo critico’ and Dai fratelli Spaventa a Gramsci. Per una storia politico-sociale della fortuna di Hegel in Italia. He was a Marxist who often swam against the current, and was sometimes even isolated because of his choice of cultural and political battles. But he was the author of doubtless important books and essays, which often received a better reception in the outside world than in Italy itself. A second interesting thread in his work was his — often iconoclastic — study of "bourgeois" philosophers and philosophies, from Locke, unabashedly (if a little reductively) accused of holding shares in a company of slaveowners, to Nietzsche (subject of Losurdo’s monumental monographic work Il ribelle aristocratico), and from Hannah Arendt, François Furet, and Ernst Nolte (all guilty of comparing Nazism and communism), to Heidegger (La comunità, la morte, l’Occidente. Heidegger e l’’ideologia della guerra’). Losurdo also wrote the well-received Liberalism: A Counter-History. A third field of Losurdo’s work was the part of his output more closely connected to his activity as a militant. Losurdo was a "militant philosopher," or, perhaps we could more accurately say, a militant who had the fortune — and he loved his work — to fight his battle on the front of philosophical, historical, and theoretical research. He was also a party militant and leader, firstly in the Italian Communist Party (PCI), then in Rifondazione Comunista (PRC), and then in the PdCI and the new PCI emerging in more recent years. Also worth mentioning, here, is his role as president of the Associazione Marx XXI, and recent participation in the online rebirth of Marxismo oggi review. Losurdo’s Marxist-Leninist formation set him in close contact with the Chinese experience, from the Mao years — which he never repudiated — to more recent times, in which he read the country’s development as a new NEP that did not undermine its socialist values. In this same perspective, not only was he attentive to Lenin’s works but he also refused to consider Stalin in merely negative terms. His controversial Stalin. Storia e critica di una leggenda nera was not without its interesting elements. He proposed not so much to "save" Stalin (in fact he recognised many of his limits and faults) but insisted that the harshness of his leadership owed to the Western powers’ intrigues and the existence of a powerful "Fifth Column" within the 1930s USSR (an argument that is at least rather dubious, and does not in any case seem like a real explanation of the Georgian dictator’s conduct). Secondly, he insisted that the Gulags were not comparable to the Nazi concentration camps, not having the goal of exterminating the inmates). Indeed for Losurdo they were only as harsh, or less so, than other univers concentrationnaires invented by "the West," like the ones used against African slaves or native Americans — in Losurdo’s view experiences comparable to the Holocaust (L’ebreo, il nero e l’indio nella storia dell’Occidente). In general, colonialism was the "burden of guilt" that left the West — the Left included — perennially indebted to the rest of the world. Losurdo’s more militant books, with a closer connection to his political reflection, intensified in the 1990s as the end of the Italian Communist Party and the USSR raised the spectre of an involution of democracy, both in Italy and internationally. Among these works we could mention such titles as Democrazia o bonapartismo. Trionfo e decadenza del suffragio universale, La seconda Repubblica. Liberismo, federalismo, postfascismo, Il peccato originale del Novecento, Dal Medio Oriente ai Balcani. L’alba di sangue del secolo americano, Il linguaggio dell’Impero. Lessico dell’ideologia americana, La non-violenza. Una storia fuori dal mito, La sinistra assente. Crisi, società dello spettacolo, guerra, and Un mondo senza guerre. L’idea di pace dalle promesse del passato alle tragedie del presente. More recently, with his La lotta di classe. Una storia politica e filosofica and his Il marxismo occidentale. Come nacque, come morì, come può rinascere Losurdo returned to the need for a renewal of left-wing thought, able to reconcile national and anti-imperialist struggles with social ones. This was not always convincing but was without doubt interesting. Domenico Losurdo made a contribution to thought which will continue to be stimulating and relevant to our present.